The documentary series covers Dr. Dre’s rise to fame and his relationship with Jimmy Iovine, and you can see what Em had to say about Dre in the trailer below. 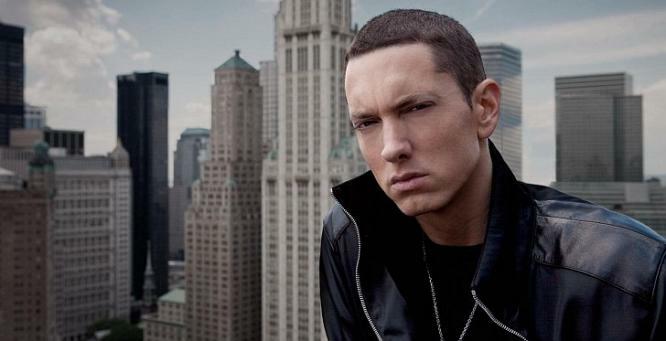 Eminem is one of the most successful rappers of all time, and he’s influenced quite a few rappers throughout the course of his career. 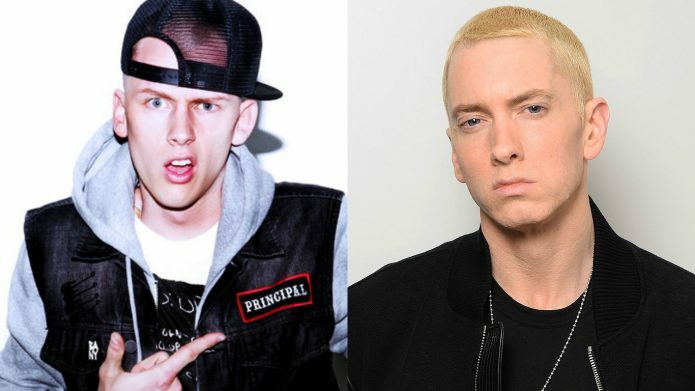 One musician who was influenced by Eminem is Machine Gun Kelly who says that Em is one of his favorite rappers of all time. 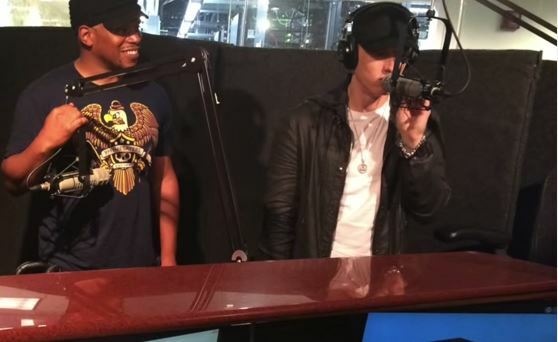 Apparently Eminem didn’t appreciate the comment, and since then MGK has been claiming he’s been banned from certain media outlets including Shade 45. You can check out the freestyle below. Shady Records recently announced that this season the Detroit Tigers will be selling a special Eminem jersey. 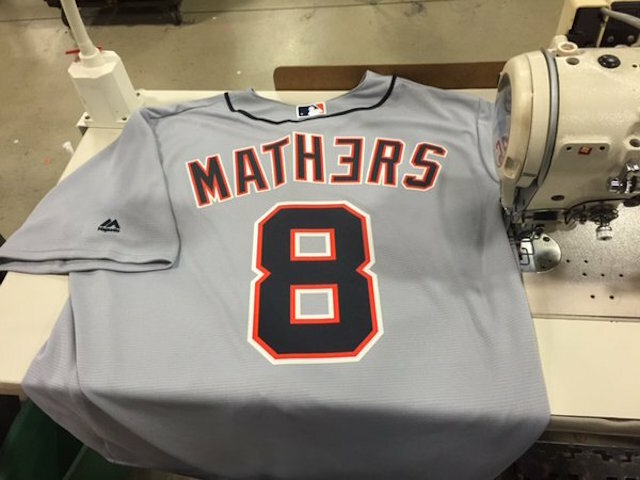 The jersey will have the name Mathers on the back with the number 8 and the Tigers started selling the jersey during their game on Friday to celebrate opening day. You can also sign up for early access to get the Opening Day Bundle which includes the shirt by clicking here. Unfortunately it doesn’t mention when the bundle will go on sale through the site. According to ESPN reporter Darren Rovell there will also be hats available and the shirts are going for $120. Eminem has done crossover promotions like this in the past as he released a limited edition Pistons shirt earlier this year. In 2015 he also released an “Eminem x Detroit” Tigers Cooperstown jersey with the number 8 on the back. LL Cool J recently spoke to Billboard about the recent freestyle he did with Dr. Dre and the new album he’s been working on. 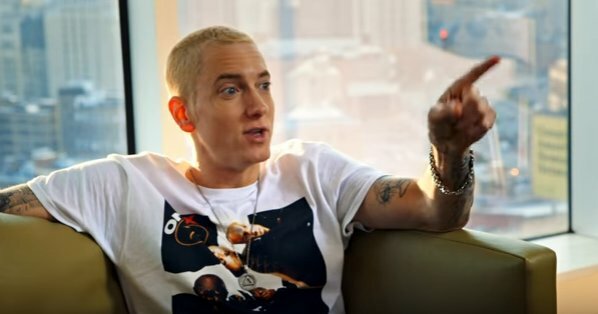 During the interview LL revealed that he’s already recorded a track with Eminem and that he has it in his stash. “He actually did his vocals and everything. It really happened. I want the overall project to be good. Em is my man and I love him. He’s also a friend of mine, so we’ll definitely get it poppin’. The world has been waiting for that. They’ll get it the right way and it’s gonna be amazing. People should just gear up for this project. Quote me on the things I said about it, and hold me accountable when I deliver it.” LL Cool J told Billboard. He went on talk about his friendship with Eminem and how Em has always shown him respect. “It’s funny, I hardly remember it. I just know that meeting Em and talking to him, he’s such a student of hip-hop. He knew all of my music. He called up the radio station singing “Go Cut Creator Go” and that’s a song nobody knows until you’re a diehard LL aficionado. Every time I’ve met Em, he’s had a great spirit. We’ve hung out many times. When I got my [Hollywood] star, he did something cool for me — he bought me a cool ad in a mag. He’s always given me love. I respect and appreciate what he’s done in his career. It always made me feel good to see somebody that I inspired take it to that level. These are the kinds of people that, at one time in their lives, saw me on TV and they were rapping along then went on to have such a illustrious career. I love Em and look forward to including him in this next project.” LL Cool J added. 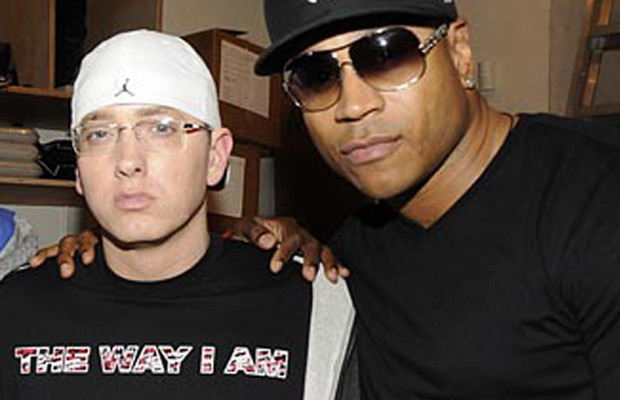 LL Cool J said that his new album will be more in the spirit of the recent freestyle he did with Dr. Dre. 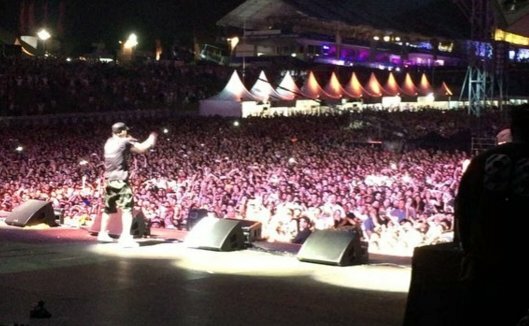 Eminem had some big moments at Lollapalooza in Brazil last weekend. He performed his song “Fack” for the very first time ever and the crowd went off for it. Shady also treated the crowd to a cover of “The Hills” by the Weeknd and he tore it up. 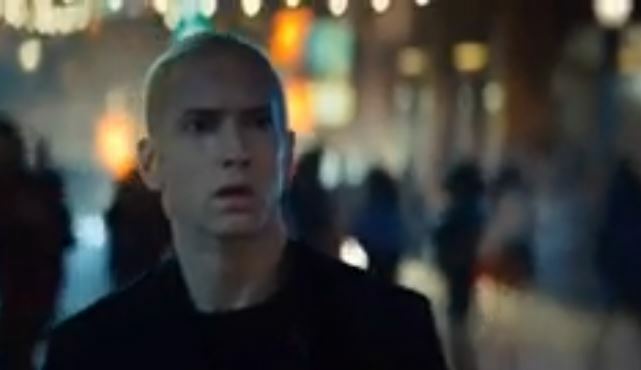 Eminem ripped through the verses that he threw down for the 2015 remix of the song and he performed them perfectly. Luckily a fan captured the cover on video and you can check it out below. 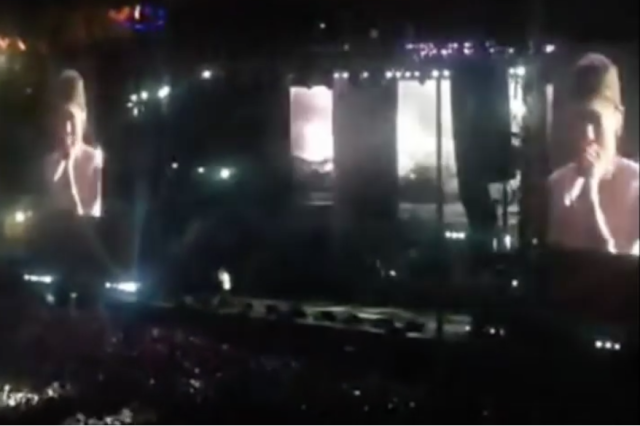 You can also check out a clip of Eminem performing “Fack” below. Saturday night Eminem performed at Lollapalooza in Brazil and he surprised the crowd when he busted out the song “Fack.” The track appeared on Eminem’s “Curtain Call: The Hits” compilation which was released back in 2005, but last night was the first time he’s ever performed it live. Em teased the song a few days ago when he posted a picture of himself on Facebook writing it into his setlist. He ripped into the track during his set on Saturday and the crowd went off right away. Everyone in the crowd seemed to know the track despite the fact that it’s one of his more obscure songs. It looks like Brazil really loves Eminem! You can check out a few clips from the performance below. We won’t make you wait any longer, check it out in the video below. Snoop Dogg recently mentioned a little something in a recent interview with DJ Whoo Kid that got a lot of people talking. Snoop revealed that he’s currently in talks to be part of what could potentially be a gigantic tour this year. 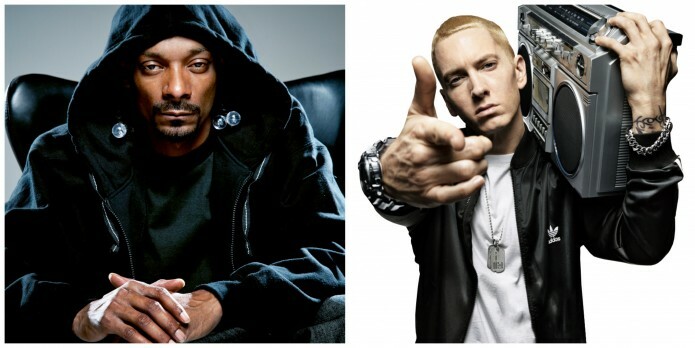 According to Snoop Dogg Dr. Dre is trying to put together a tour that would feature Snoop, Dre, Eminem and Kendrick Lamar all on the same bill. That’s a pretty major announcement. But Snoop was careful to emphasize that it’s not a done deal yet and the fine details are still being worked out. “We’re trying to get it together. Dre said he want it to be myself, him, Kendrick, Eminem. It’s a wish list that could possibly become a reality if all parties agree to disagree. I’d love to make it happen. I love everybody involved. I just want what I’m worth and I’ma do what I do.” Snoop said. The idea is already being compared to the epic Up In Smoke Tour which took place back in 2000. The tour featured some of the biggest names in hip hop at the time including Dre, Eminem, Snoop, Ice Cube, Xzibit, Nate Dogg, Warren G and more. You can check out the full interview below. Snoop brings up the tour around the 3 minute mark. Eminem is a living legend now but there was once a time when he was just trying to make a name for himself. Back in 1998 he dropped by The Halftime Show with Royce Da 5’9 to promote some new singles from the upcoming “Slim Shady LP” and the two dropped a very rare freestyle. Luckily, DJ Eclipse has decided to make the full episode which includes the freestyle available online. You can check it out in the clip below, but you’ll have to fast forward to the 1 hour and 27 minute mark. We all know how popular Eminem is. He’s sold out shows all over the world, won numerous awards and he’s sold millions upon millions of records. But this week the legendary rapper reached another huge milestone, he crossed the 17 million subscriber mark on YouTube. Congratulations to Eminem on reaching another huge milestone.